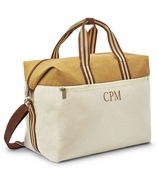 Woman's overnight canvas duffle with monogram. 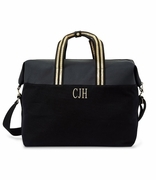 Super elegant and on-trend duffle bag for the lady-about-town. The bag is made from canvas, a natural and sustainable product that is ethically sourced - a great way to show that you care for the environment. The bag sports a bold kelly green color for a wow-factor that is contrasted with chocolate leather-look straps and accents. Silver hardware adds a touch of bling. Use for a day outing, a weekend-breakaway or to carry change of clothing to the gym. 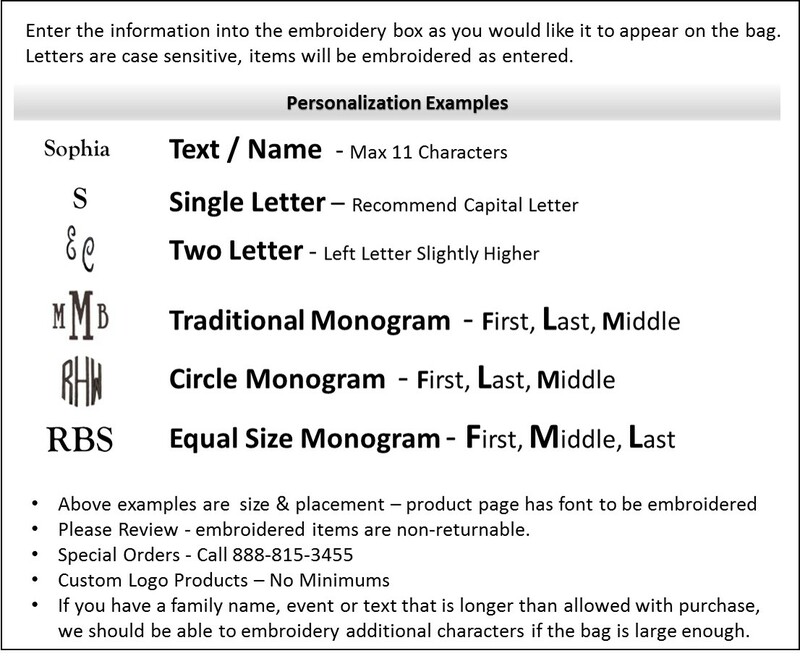 Make it your own and embroider your monogram onto the front. Dimensions 19.5" x 16.5" x 10.5"